These splendid, cozy townhouses give an air of the countryside while remaining close to the central village. This pair of luxury family townhouses, with a spacious upstairs living area boasting great views, a fully equipped kitchen and two bedrooms downstairs, Hana & Jo are perfect for families. Your day in Hana & Jo can start with a coffee from the very popular Graubünden café, which is right next door. Then jump on the free shuttle bus stopping only meters from the property, and head to either Hirafu or Hanazono resorts. 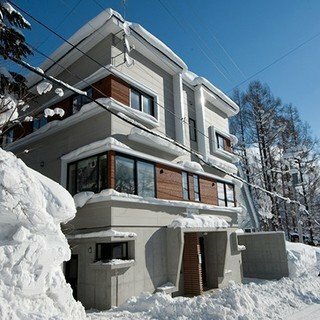 After an exhilarating day chasing powder or racing down fresh groomers, head back to relax your cosy living area, enjoy the great views of Niseko's countryside. 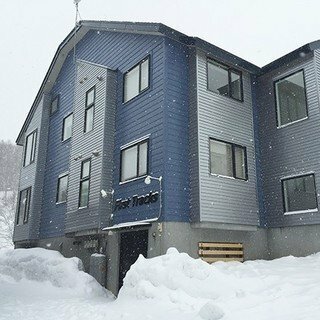 Take a stroll into the village to enjoy Niseko's various diing options or enjoy Hokkaido's speciality dish; soup curry at Tsubara Tsubara just meters away from the property. "Hana & jo was perfect for our family of 4. Location of Hana was great and the house is so comfortable and cozy. 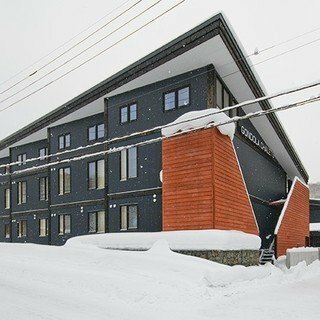 My kids had reminded me that we must come back to Hana again and this time they like to stay for at least 6 nights :) "
"Beautifully modern and comfortable accommodation in a nice quiet part of Hirafu East. Easy access to mountain with shuttle bus stopping right at the front door. Will definitely stay again." "Beautifully appointed with superb facilities. Spacious, light, airy. Linen changed regularly. Walking distance from town centre (less than 10 mins) but sufficient shops/restaurants even closer." "A comfortable and relaxing stay. Enjoyed nature, sports, and sightseeing." "Nice decoration place, convenient location, suitable for family living."